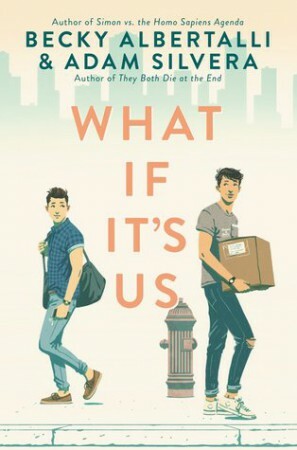 What If It’s Us was my first read by both Albertalli and Silvera. I know, I know, I’m a disappointment of a book blogger. I just never thought to pick up their books before. I thought this would be a good introduction to their work, so I requested it when I saw it was up on Edelweiss. While I wasn’t disappointed by the book, I don’t think it lived up to the hype that I had built up in my head. This book is a really cute contemporary. That’s the only way I can describe it. It’s fluffy, it’s super sweet, the main characters (one of them, anyway) was adorable, and it was all just really nice. I was expecting something a bit more mind-blowing, considering how much everyone seems to love these authors. 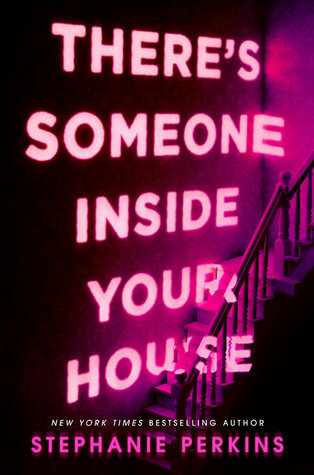 I’d be interested to see what fans of the authors’ previous books think of this one and how What If It’s Us matches up. I don’t know how the authors went about writing this book, but I liked Arthur a lot more than I liked Ben. Arthur isn’t even the type of character I would gravitate towards or connect with, but I thought he was just lovely. Ben, on the other hand, was irritating as hell and I couldn’t get over the stuff with his ex-boyfriend. Just. Nope. I’ve read that some people didn’t like the ending of this one but I ended up really loving it. Without spoiling things, I loved the way that everything wrapped up, I loved the epilogue, and I just thought it was done really well. I’m not a massive fan of everything wrapping neatly with a cute little bow, so this ending sat incredibly well with me. To be honest, I was expecting a lot more from both of these authors, but I will still be reading their other books because I really enjoyed this one.